Our community has about 400 inhabitants. The old heart of the village is made up of a range of Hamstone buildings, some of them dating back a few hundred years. There have been two main periods of recent development - one in the 1960s, another in the early years of this century. For much more on village history since 1800 see our book, Who Were We?, researched and produced by Village Voices. Drimpton, together with Netherhay and Greenham, is located at the Dorset County fringe, half a mile from the Somerset border and 4 miles from Devon. Our countryside is dominated by Dorset’s two highest points, Pilsdon Pen and Lewesdon Hill. 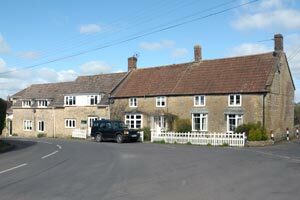 The nearest town in Dorset is Beaminster (5 miles) which supports a dozen or more local villages. Across the Somerset border is Crewkerne (4 miles). This is a busy little town on the main A30 route, with easy links to the A303. The Jurassic Coast is 11 miles to the south, where Lyme Regis and West Bay are popular seaside destinations. For hundreds of years we were a completely rural community dependent on farming. Then in the 19th century we became semi-industrialised with the opening of Greenham Flax Mill. Now in the 21st century there is only one village-based family farm left and the Mill has long gone. Most villagers in work travel to nearby towns or further afield. Some work from home. A large number of villagers are retired. Where do we meet up? There are four centres where villagers come together socially. These are the Village Hall, the Royal Oak Pub, Netherhay Methodist Church and St Mary’s Church. For more on these venues, go to the 'Directory' page and see the various section there. For activities and events, go to 'Calendar' for bookings, or 'What's On' for what is happening soon. 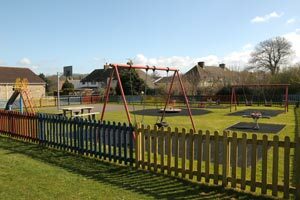 The Recreation Field by the Village Hall offers children a safe place to run around and play. There is also a designated Play Area with equipment such as swings, slide and half-court basketball. The neighbouring village of Broadwindsor (2 miles) has a community-run shop , which offers a wide range of basic provisions and local produce. Beaminster was known as ‘Emminster’ in Thomas Hardy’s novel ‘Tess of the D’Urbevilles’. It has a range of shops and places to eat. Crewkerne has shops, three large supermarkets and places to eat, too. 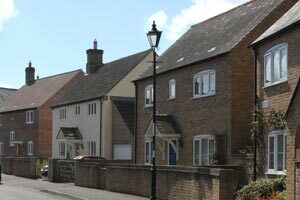 For greater choice many villagers go to Chard (7 miles), Bridport (9 miles) or Yeovil (11 miles). Most villagers depend on cars to get around. 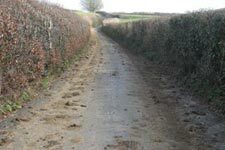 Our lanes can be quite challenging for the uninitiated. 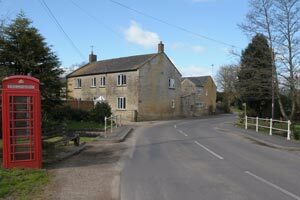 The nearest petrol stations are at Kittwhistle (1 mile) or Crewkerne. There are bus services, though not daily. There is a regular train service to London (2 hours, 30 mins), and Exeter (48 mins) both from Crewkerne Station. The nearest airports are at Exeter and Bristol. For more information go to the Directory page and click on Local Services. Footpaths link the village to its surrounding countryside. We encourage all walkers to use them responsibly and respect the working land. 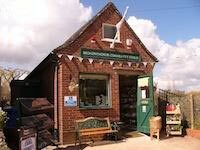 In 2005 Village Voices established a signed, village-based circular walk with the support of local landowners. ‘The Green Way’ is c3 miles long. Free route maps can be picked up from the box on the sign by the Village Hall (Dt8 3RF, Grid ref: ST 41594 04937). Several longer walks pass through or close to the village. These include The Wessex Ridgeway, The Jubilee Trail and Monarch's Way. Where do children go to school? There is a Parents & Toddlers Group in the village. Most village children of primary school age attend Broadwindsor C of E County Primary School www.broadwindsor.dorset.sch.uk. 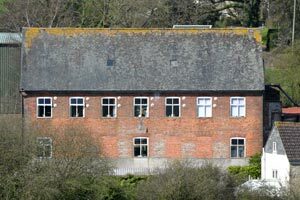 Most older children attend Beaminster School www.beaminster.dorset.sch.uk. Children of 6th Form age attend Beaminster School, The Sir John Colfox School in Bridport or go to Yeovil College in the main. School buses are available. The nearest dispensing chemists are in Crewkerne and Beaminster. Crewkerne and Bridport have non-emergency hospitals. There are general hospitals at Yeovil and at Dorchester (19 miles). There are GPs based at medical centres in Beaminster and Crewkerne, which have dispensing pharmacies.